Citizens, architects and urban experts have criticised this project. The ambitious steel flyover project is on hold for now. The plight of workers working in garbage collection is miserable. Fed up with broken system, BBMP is mulling a change in the garbage collection and transportation system. Will Bengaluru win the smart city battle? While everyone believed Bengaluru was out of the smart city race, the city has got a chance to vie for the tag by proposing area-based development. Citizen feedback has been solicited for the project. Want to be an athlete? Bengaluru isn’t the place for you! A city with 1/6th of the state’s population, yet Bengaluru cannot produce high performing athletes. Why? 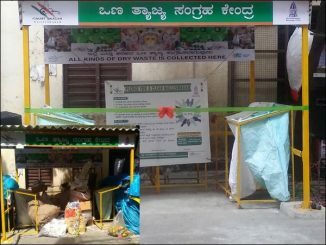 Bengaluru did not have public bins, and bins have been a bone of contention among solid waste management enthusiasts working to solve the problem. Are bins the only solution for black spot problem? Or is there any alternative?